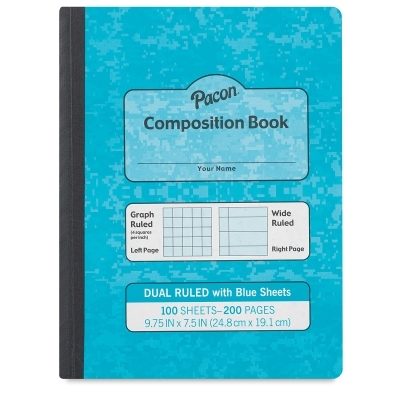 Two types of ruling in one colorful composition book! 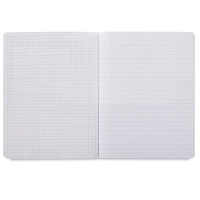 Use the 3/8" ruled pages in Pacon Dual Ruled Composition Books for class notes or journaling, and the 1/4" grid on the facing page for graphs, illustrations, and sketches. 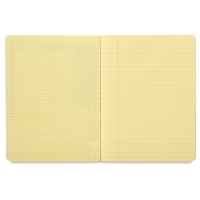 Studies show taking notes in this way engages both hemispheres of the brain. 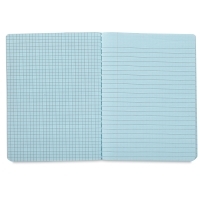 The pages are permanently bound into a durable binding with a hard cover, perfect for keeping class notes all in one place. 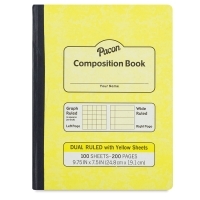 Choose White, Blue, Green, or Yellow books. 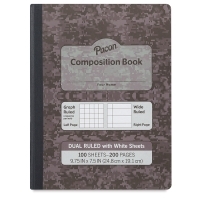 The paper color matches the cover, in a lighter shade. 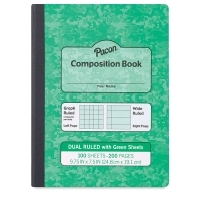 Use books of a different color for different classes, themes, or semesters. 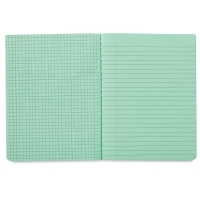 A side benefit is that using colored paper has been shown to help students who are dyslexic. 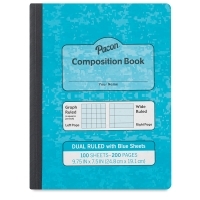 Pacon Dual Ruled Composition Books measure 9-3/4" × 7-1/2", and hold 100 sheets (200 usable pages).